Perhaps you have a friend who is a budding baker, and you have happily been the guinea pig for all of their culinary experiments, tasting all manner of baked goodies and treats. You want to encourage them on their endeavours and support their passion for baking (and you might get free treats too!) so you’re looking for the perfect gift to give them. Why not get them a present they can use? 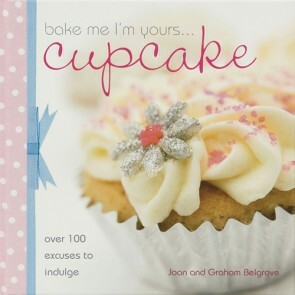 Our lovely books are just full of ideas for decorating cupcakes with lots of helpful pointers which are perfect for the budding cupcake baker. See the look of pure excitement on their face as they flick through the pages, their eyes lighting up with new ideas to try! Next time you call around to your budding baker friend, you will know that their next tasty creation was inspired by you!